NEW CONSTRUCTION. Very spacious Great Room with trey ceiling and ample millwork. Hugh Kitchen with loads of cabinets. Laundry is located in 2nd bathroom. Incredible Florida Room with lots of windows open to the Kitchen. Large Master Bedroom with trey ceiling . Second Bedroom also very large. Rear Patio with privacy fence. Pull down attic for additional storage. Amazing amount of green space. Guesstimated completion is mid summer. SchoolsClick map icons below to view information for schools near 7318 Fox Hollow Way #7318 Louisville, KY 40228. 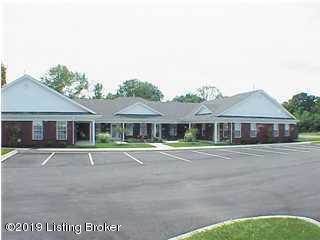 MLS # 1523168: This property at 7318 Fox Hollow Way #7318, Louisville, KY 40228 is located in the Fox Hollow subdivision and is listed for $145,000. MLS # 1523168 has been on the market for 92 days.